My college training prepared me to teach children with visual impairments. One of the courses required students to perform tasks blindfolded. Walking without vision scared me the most. I felt insecure and terrified in the darkness. What relief when I removed the blindfold! Light comforted me. Those of us who raise children with mental illness (MI) experience those same feelings. 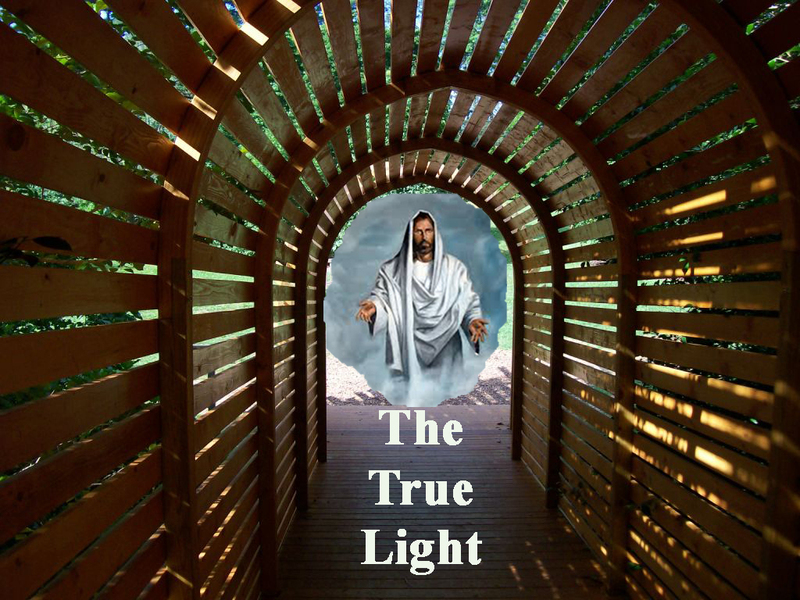 During our darkest days we search for Christ—the true Light who comforts us. Last week the account of our story ended with Chris’s hospitalization. I shared how God transformed that horrible memory by using it as a reminder of His love. Our dark days were about to get darker. Thankfully, Christ’s light shined brighter during those days. A few hours after we got home I received a call from the hospital. When I called later I found out Chris had been put in isolation. He had put up such a fight when they tried to give him the medication. Images filled my head of Chris in isolation. Sedated. Confused. Alone. “When will he be taken out of isolation? When can I visit him?” I questioned. When I arrived at the psychiatric ward, reality hit. The unit was locked. In order to gain entrance I had to ring a bell and announce my name. Then a nurse let me in. The information provided by the social worker (when Chris was admitted) helped me understand some of the procedures. It explained that guests were to visit patients only in the lounge areas, not in their bedrooms. But a nurse ushered me into Chris’s room. There sat a woman talking to Chris. When I entered the room she didn’t introduce herself to me. It was a very sensitive moment for Chris and me. This was the first time we had seen each other since the terrible scene at home. We hadn’t seen each other since we had him committed. Chris sat hunched over. His head bent downward. He raised his head in slow motion. His eyes seemed to be searching for something. As if trying to focus through a fog. He made no attempt to speak. Through his heavy sedation I could detect his emotional turmoil. A mother can just sense when her child is hurting. “I’m sorry,” he managed to say. “Do you think Chris has been under a lot of stress lately?” The unidentified woman asked, intruding on our private moment. “I’m Chris’s psychiatrist,” she answered, still not giving me her name. “Chris has been contradicting himself,” she continued. “I just started working in this hospital and am not familiar with the procedures of the ward,” she explained. Is she kidding? I read the procedures booklet immediately after we returned from the hospital. What kind of professional doesn’t prepare herself for her job? I wonder if she’s even qualified at all! Later that day I typed a letter to the chief psychiatrist requesting Chris have a different psychiatrist. Chris was immediately switched to the care of the head psychiatrist. Chris’s stay at the hospital was as bad as I imagined. He had to be strip-searched and all his belongings were taken from him. He was included with troubled teens (who were either suicidal, drug abusers, or violent). There were very strict rules about when he could call us, what he could wear, and what belonging he could have. Each time he had to use the bathroom a nurse had to unlock it. Howie and I visited Chris every time there were visiting hours. We stayed the entire time. Chris began to appreciate our unconditional love for him. “Mom, PLEASE get me out of here,” he’d beg. It was hard to witness him desperately trying to figure out how to get released. He’d lay his head in my lap and ask me to stroke him. When my boys had grown up I missed doing thing like that. It was bittersweet to be able to nurture Chris in that way once again. I was happy to be able to comfort him. But it ate me up inside to see him so pathetic, so broken. Howie passed the time by playing cards or chess with Chris. Robert didn’t want to see his brother in such a place. For a while I respected that. I knew Robert was dealing with lots of questions from curious students at school (some caring and some nosy). He was also struggling with getting around school on crutches. Finally I asked Robert to visit Chris. Being very compliant, Rob agreed to go. During the time Chris was in the hospital there were several things that were hard to hear. Like what he said in one phone conversation. “Oh Chris. God IS in that place. He’ll let you know how much He loves you. You’ll see,” I assured him. Those words were spoken in faith, believing God would show Chris His love. I had no idea how, but was sure He’d be faithful. The very next day Chris shared how God revealed His love in that dark place. Many look for the light at the end of the tunnel. We need not wait for the end of the darkness. There is Light in the tunnel—His love shines brightly. Writing posts for this blog is difficult for me. It’s hard re-living painful memories. But this is a labor of love. I think about all the moms out there raising kids with MI. Needless shame and stigma still exist. Lots of misunderstanding from those whose lives haven’t been touched by MI. Often it feels like no one understands. Often it can be a hopeless journey. This is my way to offer a virtual hug. And to offer real hope. On a practical note: I learned a trick to getting things done when I was a new mother (decades ago!). I was a stay-at-home mom and my husband gave me a date planner he didn’t need. Each week I assigned myself things to do. Then each morning I’d glance at my to-do list and begin to work my way through the list. Now that I have MS I still find that strategy helpful. Three times a week I plan to do water walking (to maintain my mobility). It’s SO HARD to get to the gym and do the exercise. So I ask the Lord to help me to get moving. I love to check off things I’ve done! Don’t beat yourself up for things you don’t get done today. And celebrate the things you do!